Today's gag comes courteous of faithful reader Emily P. who claims that with four wards with large primaries meeting in her building, they could feed a whole nest of mice. 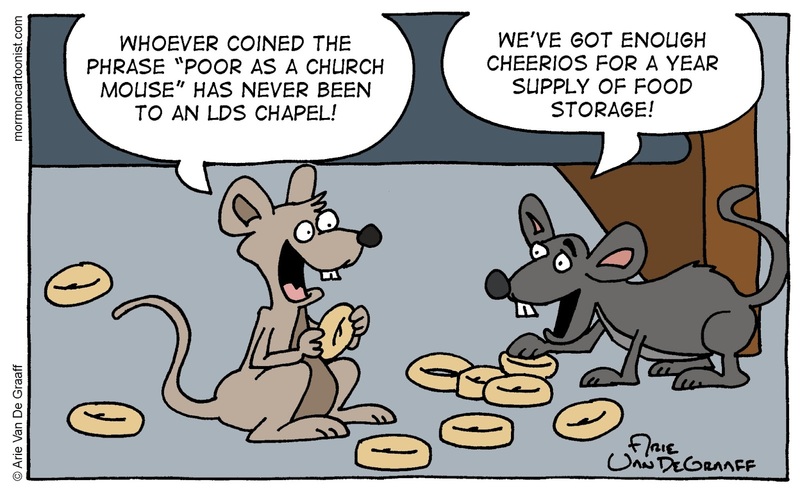 I don't know about mice, our chapel has a colony of squirrels in some nearby trees... we feed them with whatever the children leave, rather than take it home. 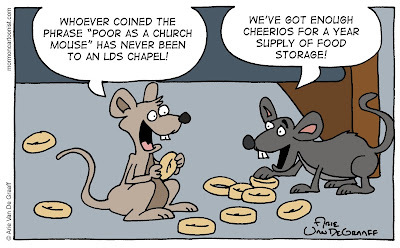 They sometimes peer in the windows during Sacrament meetings - wonder if they are eyeing up the bread? That's great that your ward is looking out for all of God's creatures. Four wards in our building. Chapel is gone over after each one.